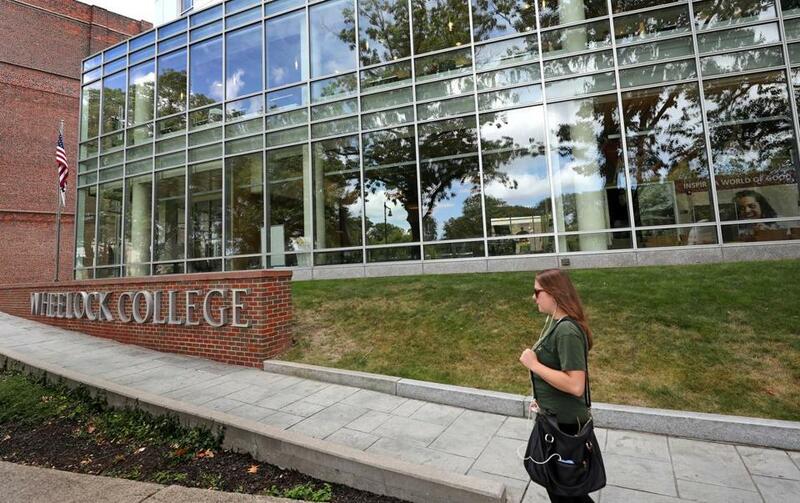 Last month, Wheelock College said it was in talks to merge with Boston University. Just a decade ago, it would have been extraordinary for a small independent college with roots that go back 130 years to even entertain a merger. But times, and finances, have changed. Last month, Wheelock College, a 1,000-student teacher education and social worker school founded in 1888, said it was in talks to merge with Boston University, its much larger neighbor in the city’s Fenway-Kenmore area. Such college consolidations are becoming increasingly common throughout the country, throwing lifelines to small, financially strapped schools and, in some cases, offering an opportunity for the suitors to pick up valuable real estate. The Wheelock-BU announcement followed last year’s merger of Berklee College of Music and the Boston Conservatory. In Vermont, Johnson State College and Lyndon State College will combine next year as Northern Vermont University. Georgia’s state university system has merged 14 of its colleges since 2011, with more planned. This year in Pennsylvania, Thomas Jefferson University and Philadelphia University merged, and state education officials there have been considering consolidating some of the public colleges. Mergers aren’t all about the real estate, though. For some colleges, combining resources and programs can be a way to save money, expand their reach, and boost enrollments. And for struggling colleges, a consolidation can preserve some of their programs and missions, while offering students and faculty a soft landing at a bigger, better-funded school. Small institutions with large endowments and international reputations, such as Amherst College and Williams College, can weather demographic changes that mean fewer young people and increased pressure to reduce tuitions to compete. But the economics are more challenging for less-elite schools that offer fewer popular degrees or launch students on careers that are less rewarding financially —and don’t translate into large donations to the students’ alma maters. Education experts said they expect more mergers, particularly in this region, which is ripe with small private institutions. Many are watching the BU-Wheelock consolidation to see how such deals might be structured. While some schools struggle to attract students who will pay tens of thousands of dollars in tuition annually, they may be sitting on gold mines: their real estate. “These urban campuses are more valuable than they’ve ever been,” said Robert Griffin Jr., New England president of Newmark Knight Frank, a commercial real estate firm. Griffin is working with several Boston-area colleges that want to sell or lease land so they can use the money to invest in technology and their programs. They may not be facing the tough choices of a Wheelock, but the schools are evaluating how to best use excess property. Real-estate prices in Boston have skyrocketed, and developable land in the city is limited, making the property owned by schools particularly attractive — either to another school that is hemmed in or to a commercial developer, real estate experts said. Schools pondering mergers have to consider a host of factors to determine whether a partnership will work, but real estate is likely to be one of the issues, said David Begelfer, chief executive of NAIOP Massachusetts, a real estate trade group. Wheelock is “certainly sitting on a prime area,” he said. Wheelock’s leafy campus hugs the Riverway in the Fenway neighborhood. Nearby, the developer Samuels & Associates has been remaking what was a collection of squat buildings and parking lots on Boylston Street into a trendy neighborhood of high-priced, high-rise condominiums, bustling restaurants, and storefronts. Across the street from the college, Samuels & Associates is also renovating the Landmark Center, an office-and-retail complex with nearly 1 million square feet. A block from Wheelock’s campus is Longwood Medical Area, home to several hospitals and Harvard Medical School. Wheelock owns more than 5½ acres, including dorms and academic buildings, assessed at nearly $70 million, according to city property records. Actual market value is harder to estimate, because it’s unclear whether the property could be zoned for more density and what the city would allow to be built, real estate experts said. But it’s likely to be worth significantly more than its assessed value for tax purposes, Griffin said. Wheelock’s president, David Chard, declined to comment. But he has said the school solicited proposals from colleges across the country before choosing BU. BU’s president, Robert Brown, would not comment on how important Wheelock’s property is to the merger deal, saying the university hasn’t completed its appraisal. For more than a decade, BU has been active in buying and selling property around its campus. In 2006, it purchased a 22,677-square-foot commercial building near Kenmore Square for $3.1 million and then sold it for $8.25 million in 2015. Last year, BU sold a block of Kenmore Square between Commonwealth Avenue and Deerfield Street to the developer Related Beal for $134 million. Brown said BU has yet to determine how it would use the Wheelock property. Under the initial framework of the deal, Wheelock’s School of Education, Child Life, and Family Studies would merge with BU’s School of Education to create the Wheelock College of Education and Human Development. Other Wheelock programs would also merge with similar programs at BU. Deirdre Fernandes can be reached at deirdre.fernandes@globe.com.